Home canning, freezing and preserving, whether it is jam, salsa, applesauce, apple butter, pickles or whatever, is easy; with these simple, fully illustrated directions with detailed tips and tricks. Save money, eat healthier, with no additives or chemicals... and with much better taste! This page provides the links to our illustrated recipes and canning* directions - so easy ANYONE can do it, along with a multitude of other recipes, guides and canning instructions. For safety, these recipes closely follow the USDA recipes, Ball Blue Book and/or those provided by major university extension services. Whenever possible, instructions also are provided to allow you to choose the options that are important to you; such as types of cooking equipment or choices in sweeteners: honey, Stevia (in a prepared form like Truvia, it measures same as sugar; if you use another form, you'll need do your own conversion) - or Splenda, if you prefer, , Stevia, fruit juice or sugar. Look for the recipes, pages and directions that are new in 2019 with NEW! next to them! Canning anything that can be safely canned at home! Why shouldn't I just can my own recipe or change these recipes? This month's question answered: What causes canning jars to break in the canner? NEW! What are the differences between jams, jellies, preserves, butters, conserves, etc.? NEW! How long can I store___ or How long will ___ (fruit or vegetable) stay good in the fridge, freezer, basement, etc. NEW! USDA Food Grades - Ever wonder what was "Grade A"? And why you don't see grade B? How to select different foods, including fresh, frozen and canned? Wonder no more with this one-page guide! Replacement parts for pressure canners. Are there commercial kitchens or community canning facilities I can use? 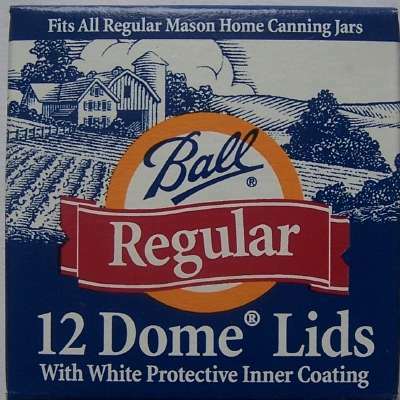 Why jars don't seal and how to correct it. What's wrong with using paraffin or inversions methods? How to make jellied cranberry sauce - W Now, make your own, no nasty store canned glop! Fruit cocktail - can your own mixed fruit cocktail! Olives - technically olives are pickled, but you can do it at home! Strawberries (canned strawberries, not jam). Tomatoes: How to ripen your green garden tomatoes indoors in the Fall and Winter. 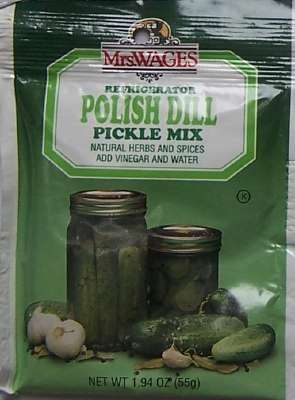 Click here for the page of frequently asked questions (with answers) about pickling and making pickles. How to freeze breaded zucchini and other summer. Note: These require a pressure canner. There are no safe options for canning these foods in a boiling water canner. Pumpkin pie from a fresh or canned pumpkin! Green tomatoes: what to do with your unripe green tomatoes! Zucchini bread - a tasty use for that excess squash! How to prepare and grind your own wheat and flour. Canners, both water bath and pressure canners. Canners for glass top stoves?